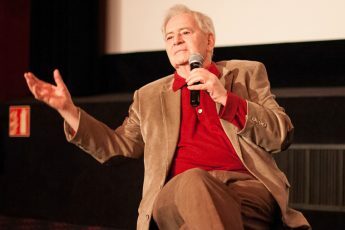 Lukas Brašiškis sat down with Šarūnas Bartas back in 2009 to speak about his career from the early beginnings through his canonization as an auteur. Characteristically astute, Bartas fends off any attempts at having him participate in an elevation of his work, instead resorting to strategic sophistry and a formulation of low-key, cinematic goals. When and how did you become interested in cinema? Everything started with photography. I have been taking photos from the time when I was six years old. I switched to shooting films a bit later. In the beginning, I was working alone. Later, I joined the amateur film studio “Banga”. The studio had excellent technical equipment, they even provided the possibility to work with 35 mm film stock. At some point, I became an art director of this studio. However, when I realized that these activities do not open the doors to the big cinema, I moved to Moscow, where I successfully enrolled in the All-Union State Institute of Cinematography (VGIK). I know that before going to Moscow to study film directing you have also worked as an actor. Was it difficult to choose between the two potential professions? Yes, I got the main role in Raimundas Banionis’ TV series Sixteen Years Old (1986). It was quite a versatile experience. I got the opportunity to observe their production process, acquainted myself with a number of future collaborators. However, acting was not among my study options. I already knew that I was going to apply to the film directing program. Initially, I was accepted to the documentary directing program. However, due to certain issues related to my first documentary I made in Moscow, I had to switch from documentary to fiction film directing. My first mentor was Irakli Kvirikadze, who is known in Lithuania for his short film The Jug (1970). Did you produce your first feature film “Three Days” (“Trys dienos“, 1990) upon completion of your studies in Moscow? Not exactly. I started making Three Days during my third year of studies. I was in a rush, because there was not really much for me to do in Moscow, nor indeed for many others. Three Days was the first independent Lithuanian film (not sponsored by the Lithuanian state budget) and co-produced with Estonia. Nothing like this had ever happened in Lithuania before, so everyone was very suspicious of me. Halfway through shooting we had to terminate our cooperation with the Estonians because of disagreements related to the content of the film. Furthermore, at that time we also established the first independent film studio, Kinema, in Lithuania. And then all the events leading to the restoration of Lithuania’s independence, like the economic blockade and other events, started. We suspended the shooting of Three Days but continued shooting documentary material with the money that was left. Some of the footage of the events at the Parliament building was later used in my film Corridor (Koridorius, 1995). When you started to work on your film “Three Days” you were only 23 years old. What effect did historical and social changes have on the themes of you as a young filmmaker and your subsequent work? Did this changing political and cultural context affect the state of mind of you as film director? It’s hard to say. I think it probably never had a profound effect, although, of course, we live in a certain period of time and shoot what we know. For example, the shooting of the documentary film In Memory of a Day Gone By (Praėjusios dienos atminimui, 1990) started and was completed in the Soviet period. Had it not been for perestroika, the All-Union State Institute of Cinematography in Moscow might not have allowed me to make it, though at that time there were indeed attempts to prevent and prohibit it. And speaking about the developments in Lithuania at that time, they are directly reflected in my later film Corridor. Can we compare you with realist directors who try to document and reflect reality in their films instead of constructing it? You see, everyone constructs reality in their films, whether reflecting it or not. Realism in films is an entirely different matter. We can’t tell what is real and what isn’t. Each of us even has a different perception of reality, because we rely not only on what we are looking at, but also on what has happened to us earlier in our lives. We may be looking at the same point, but for one of us the reality would be at this angle, while the other may forget what he is looking at and may at that time think and “see” their interlocutor’s face. So these would be two different realities at the same time. Even in a single four-dimensional space there could be many realities. Reality should also be separated from stylization. Reality in cinema is mutilated. For example, the action shown in my Three Days takes place over a few days, but my film lasts only one and a half hours, so time is compressed and quite different laws apply than in reality. We are probably talking about a reality that, in order to make the spectacle easier and happier, is deliberately stylized and simplified for the spectacle to take place. This is not a bad thing, because it is a spectacle with its own laws. It should be noted that even as the spectacle is being created, attempts are made to reproduce an illusion of reality. All creators or producers are trying to recreate an interval in time. A very short interval of time is even recreated in a painting. It is presented to a viewer, who looks at it and his life becomes easier, because after seeing a little piece of the world with someone else’s eyes, the viewer finds more points of reference. It becomes easier for him to find his own place and to understand himself. Perhaps this is why such art has been created since ancient times and has persistently been in demand. Many of your films contain characteristics of documentary film (shots on locations, non-professional actors playing themselves, the use of diegetic sounds, etc.). What do you think about the difference between documentary and fiction film? I think that there is hardly any clear boundary between a documentary and a fiction film. Documentary films can be divided into journalistic-style reporting, TV, or other documentaries, but in each case we record a certain interval in time and the extent to which it seems “real” to us depends on how much effort we put in for it to look thus. I disagree that non-professional actors who play in my films bring my films closer to reality. You are wrong to say that they’re playing themselves, because this isn’t the case at all. 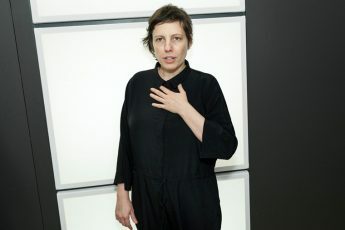 These actors can be compared with people in some American films who have also been picked up on the street and who are certain types in the film. Federico Fellini, who could never be called a documentary filmmaker, picked up nearly all his actors on the street, but they didn’t play themselves. There is no such expression as playing oneself; a good actor doesn’t act at all. What are the most important features for you in an actor? In each film, even in so-called entertainment films, actors who can act are most valued. If someone says, “that actor really knows how to act”, it means that he acts pretty convincingly. Acting is part of our communication, because we are social creatures and constantly convey something to others with our expressions (our face, gestures and language). We usually don’t understand the emotions of animals (well, perhaps only a tail wagging), because we are different. But we understand each other, because we are united by our means of communication. When we can see that a person is lying, it means that he is a poor actor. Of course, there are people who know how to lie very well, which means that they believe what they’re saying. Acting is not a profession that can be learned, just as it is possible to learn to sing, but impossible to learn to have a very good voice. Recreation and saving one’s energy are a professional actor’s skills that are usually quite easily learned, but the essence of a good actor is different. On the other hand, a person may seem completely realistic, but be bland and uninteresting. Directors choose models for the characters in their films in the same way that painters choose models for their paintings. There are often no precise time and space markers in your films, and an action usually develops in an abstract, distant and unfamiliar space in an indefinite time, so I want to ask: to what extent is the time we live in important to you when making a film? We probably can’t even use the word important here, because the time in which I live is all I have, which is the same for any one of us. It is that foam of life which came to the surface and which we carry forward into the future. It is at this time that we are foaming and are alive. None of us, no matter how young, will be here one hundred years later, so the time in which I live is the entire essence, because I don’t know any other time. On the other hand, our imagination is based on memories and these, as we know, wear out. The brain arranges our memories the way it likes. Therefore, we can hardly grab even the time in which we live. In your films (especially the early ones) there is little dialogue, the language is minimalist, unlike in the usual narrative films in which language plays a very important role for the development of the story. Do you agree that images in cinema are more important than words? I don’t know. Both the image and sound must have their place. There could be fewer or more words. Sometimes the text can say more, because it helps the viewer to understand more about the scene or character, though I don’t see the need to illustrate each image with a sound. This is all related to TV, in which series, where practically everything is conveyed by text, play an important part. And this is happening for a reason, otherwise a person would not be able to do household shores or make pancakes with the TV on. Everything on TV is conveyed by the text and the image just becomes a background. Of course, I think that filmmaking also tries to simplify the whole business. This is done for the purpose of distributing the film more broadly and making it more understandable. After all, if someone has a couple of hours available and walks into a cinema, that person isn’t always in the mood for anything more difficult. He or she just wants to relax, forget about something, or whatever. And he or she’ll be unhappy if any effort is required. We know that many works of art, books, films, or stage performances require an effort on the part of the viewer. But not everyone wants to do that, so there are other stories available for those who don’t want to do that. Very often you use static facial close-ups in your films. What is the meaning of a close-up for you? Well, what is specific about cinema is that, when watching a film, we cannot escape the cinematic image, nor imagine something else. When we read a book we can stand up, look around, re-read the same paragraph once again. All the words we read become images in our minds, after all; actual places, things, they all function like a Lego toy constructed from our memories. Whereas, during film screenings we don’t have such a possibility. Imagination works with images. We imagine only things we have seen, because of a certain structure of our brains. In the cinema, though, we see what we see and nothing else, and we hear whatever we hear, and we cannot hear anything else. Likewise, we cannot run away from the cinema. Thus, cinema is an act of violence, indeed. Do you agree, when critics call you a film philosopher? You see, I neither agree nor disagree. People call me various names… You could call me a pig, and what would change if I disagreed? Let me pose the question in a different way: do you agree when a concept of film-philosophy is understood not only as a filmic illustration of certain philosophies, but as a possibility for the film director to take the position of a contemporary philosopher? In other words, do you think that cinematic images can express, in their own way, philosophical thoughts? You see, we are talking about different products, and the problem is that we have only one store to acquire completely different goods. Everything is very confused in cinema. Differentiation does not yet exist, because cinema is a completely new formation. Although there were some attempts (especially in the West, where much more money is invested into cinema), cinema has not yet been fully stratified. Most people watch films hoping to forget their problems, and only a very small part of them come to search for something. People who are coming to the cinema with expectations to erase the information from their brains do not understand what is going on in my films: instead of helping to forget their ordinary problems, my films provide even more questions… After all, not everything can be bought in a newsstand. Similarly, in a bookstore one cannot find pornographic magazines. It took millennia before this happened. During this time the written language has been formed and its purposes were clearly realized. Now it is common that documents are stored in one place, and different kinds of writings in another place… Whereas, in cinema everything is still piled together. You probably know that your films are often compared with the works of other directors. I wonder what film director (or directors) has had a strong impact on you? I’ve heard such comparisons, but in my opinion they have no real grounds, because this is done post-factum and often based not on real similarities, but rather differences. In much the same way that music is popular, modern or classical, there are attempts to categorize film directors. Back when I had nothing to do with films, I was impressed by Roman Balajan’s film Flights in Dreams and in Reality (1982). I didn’t even know that such films existed, because before that I had only watched films about American Indians. When I saw Balajan’s film I was fifteen years old, but I’ve never forgotten the impression it made on me. Later I was also very impressed by Fellini’s films. Then the whole of Europe flocked to cinemas to see them, so they were very commercial, but today, behold, they’ve become almost experimental. So the development of films has its own ups and downs. The Italians can be a great example, because today they hardly create anything very interesting, although they have given the world many of the all-time greatest film directors. The development of cinematography requires a lot of time. First for canonization, then for breaking down the canons, as it was in painting. “The cinema of damnation” is the term that film critic Tony McKibbin uses to characterize Béla Tarr’s, Fred Kelemen’s and your films. He writes that you take hope away from your characters, confiscating their possibility of finding it in this life… How would you respond to McKibbin’s claim that in your films hope does not exist? Hope does exist. It does not let you pass away. A healthy, young and capable person who has lost all hope would lie down and die, simply because he would refuse to eat. That’s what happens when a person develops a serious form of depression which removes from one’s brains all incentives to live. The hope is there, the only question is: what do we hope for? Do we hope to live our days without hanging up? Or do we hope, for example, to become rich and have servants in our afterlives? In some tribes it is believed that the more enemies you kill over your life, the more servants you would have in your next life. So it all depends on the form of hope. If you haven’t killed anyone, you will become someone else’s servant. Such knowledge is already a loss of hope. What do people hope for? This is probably the most important and most difficult question… “One died and lived long and happily”. These words could be an end of a fairy tale. Hope is the driving force of human beings given to us by nature. We ourselves do not produce hope. However, hope is always paired with despair. As a counterweight, despair allows to realize hope. It is like joy and sorrow. The one is incomprehensible without the other. In “Eastern Drift” (“Eurazijos aborigenas”, 2010) you play a central role. What draws you to such a decision? Is it related to the type of the film’s character, or to some other, more practical reasons? 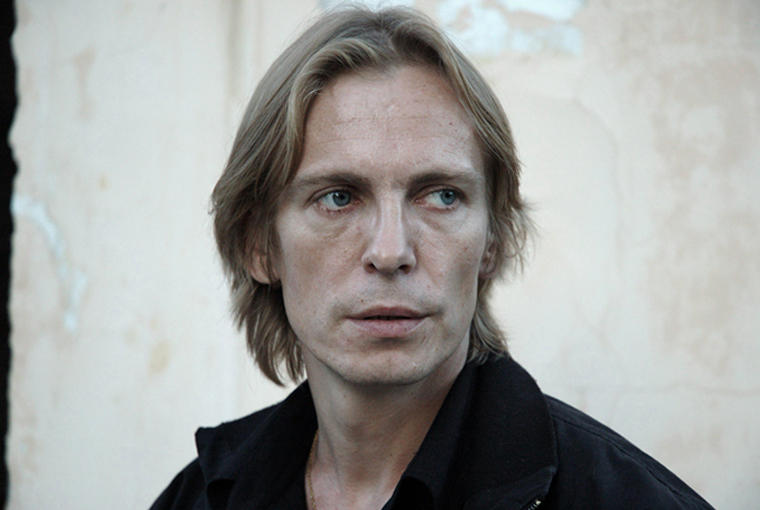 [Bartas also played the main role in “Corridor” (1994) and in his latest film “Peace in Our Dreams” (“Ramybė mūsų sapnuose”, 2015), L.B.]. If it had seemed to me that I was not suitable for the role, I would not have chosen to play it. I wanted to act in many of my films, but some circumstances did not allow me to do it. The director’s work covers almost all the professions in cinema: cinematography, sound, organizational issues. All this requires a lot of strength, that is why I often did not manage to act in my films, even though we already had my roles confirmed. Of course, maybe it is a bit more convenient when I act myself, since I don’t need to work on casting an actor. Looking at the whole film production process, though, it is difficult to say which option is more and which is less convenient. Nothing is easy in filmmaking: there is a lot of stress, a lot of people, a lot of problems, a lot of circumstances exceeding our control. It is not easy until the last cut, the last frame adjustment, the last color and light correction. One does as much as one can. You cannot exceed your strengths, and yet there is no simple way to ease your life. You not only direct your films, but also perform other technical functions: sometimes you are the director of photography [e.g., in the film “Seven Invisible Men” (“Septyni nematomi žmonės”, 2005)], the sound engineer, or an actor. Is this the true model of an auteur film? First, without the knowledge of all the professions of filmmaking, it would be foolish to imagine that you could manage everything. Imagine that a conductor does not know how to play the violin or he can play the piano, but knows nothing about other instruments. Conductors can play virtually all instruments and are fully aware of their potential. Therefore, it would be ridiculous to say that you can create an image without knowing how the main tools for making it work. But conductors themselves don’t play, and in order to conduct it’s sufficient for them to know how the instruments work. Of course, but if it were really necessary they could play. It depends on the case. As for me, as I said, I did a lot of shooting prior to my studies at VGIK. Then I did not have any assistants and I had to figure out what, where and how. Therefore, I can work professionally with the camera, but if I don’t have to, I don’t do it. In my opinion, directors must intervene in any process that’s not going the way they think it should be going. After all, you can’t say in the credits that someone on the creative team has failed. “Seven Invisible Men” is characterized by the proliferation of dialogue as well narrative consistency. Can we say that your film style is changing and your films are gradually gravitating towards a more continuous narrative? You see, I don’t think about the style in advance. I come up with it during the process. Of course, in my films something is changing all the time. Whether you stop and roll back or you go forward. To stay in the same place is an impossible task. A spire is too thin to remain sitting on it. I think it is necessary to draw a distinction between the concept of narrative cinema and the concept of conveyor-like mainstream cinema. In a conveyor-like film production identical patterns are constantly produced and, similarly to the fashion industry, they are repeated in order to keep these films recognizable in the market. This mass film production model should not be confused with an active, narrative cinema. How much action should really be active – that’s another question. After all, you cannot accelerate action – you can show only the action that does exist. You could find a reason why it must be multiplied, but it would still reflect a certain reality. The thriller genre in terms of the concept of my film [Eastern Drift] was once mentioned in jest. What is your opinion about the youngest generation of Lithuanian filmmakers? This generation has not lived in the Soviet Union and that’s why these filmmakers are concerned about the present context with no pressure coming from the past. I see their immense interest in filmmaking, therefore, I am sure that something will come out of this generation. I try to help them by all means. Sometimes even the simplest thing, such as a supportive comment or help with technical issues, is very important for young directors. 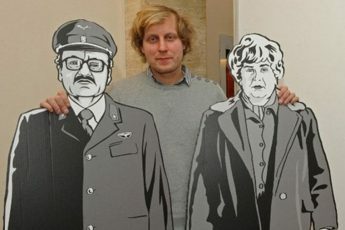 What would you like to wish Lithuanian cinema? Young people, people who are not driven by a thirst to benefit from governing the state should come not only to the film scene but also to politics. We are not a very rich country, therefore, culture and education are very important for us. If we do not sow a seed today, we will become an even poorer country tomorrow. Then we will go bankrupt, not only economically, but also spiritually… As for my wish to Lithuanian filmmakers, I would suggest them to be patient and work hard, because without working hard nothing can be achieved. Funding can be found abroad, you only need to have something to offer and be capable to put it into practice. Part of this interview was first published in a 2015 Lithuanian Film Center catalog on post-1990s Lithuanian cinema.